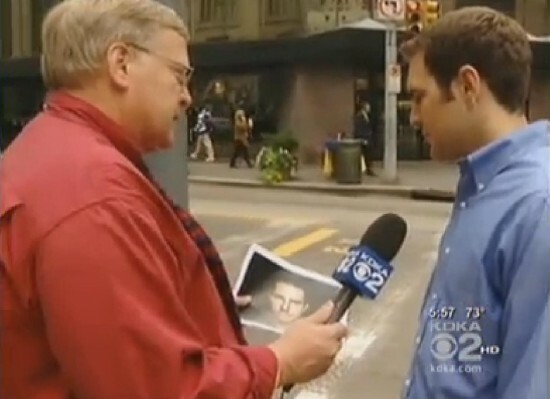 Tom Cruise was apparently in town prepping for his extended stay from October to January, so KDKA did what any news organization worth their wattage (I bet that doesn’t make sense, but I like the way it sounds so just shut up. ), would do and headed to the Fairmont, which also housed the Batman cast and crew over the summer, to stalk Tom Cruise with a camera crew. 1. John Shumway notes there are black SUVs near the Fairmont. Because THAT MEANS SOMETHING. Tom Cruise ought to stun the world and arrive at the Fairmont in a white Escalade. It will be as good as camouflage in the jungle. 3. If Tom Cruise comes to Las Velas to eat, I will scream so loud that penguins in Antarctica will strap their young to their heads to create noise cancelling headphones. Then I’ll get down on my haunches so Tom and I are eye level. Get it? ‘Cause he’s short. Is there a Scientology center in town? I’d stake that out first. There is one in Southside! That’s where my tent will be set up! don’t all the stars drive fiats these days? that’s what I thought after seeing that JLO commercial. Shumway was too early. I saw Mr. Cruise on Tuesday around 6:30p walking towards Market Square from Stanwix. You are quietly amassing an army of short-to-completely-average sized dudes who loathe you. We are quieter than PETA, but have greater physical stamina. Maybe in a fit of nostalgia he’ll head for Johnstown hoping to find Lea Thompson in her band uniform. I saw him at a Burger King in North Versailles. He was wearing sweat pants and had some food stains running down his sweat shirt. It was pretty gross. Maybe he’ll be here long enough to jump and down on a burning couch. honestly, he was spotted yesterday in the North Hill, Soergels.